REF Internal Review Panels – Recruiting Now! 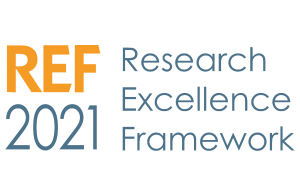 To help us prepare for our upcoming submission to the Research Excellence Framework (REF) 2021 we are establishing a number of internal review panels to review and assess BU’s research outputs and impact case studies. Expressions of Interest (EoI) are invited from academic staff who are interested in being a Panel Member. There will be one panel per Unit of Assessment (UOA) listed below. Those interested should identify which UOA Panel they would like to be considered for and put forward a short case (suggested length of one paragraph) as to why they are interested in the role and what they think they could bring to it. EoIs should be emailed to ref@bournemouth.ac.uk by 14th December 2018. Full details of the role, the process of recruitment and terms of reference for the panels themselves can be found here. Any queries regarding a specific panel should be directed to the UOA Leader. General enquiries should be directed to Shelly Anne Stringer, RKEO.